Spring 2014 is just about over, with quite a number of my shows ending this week. Review season is almost upon us! 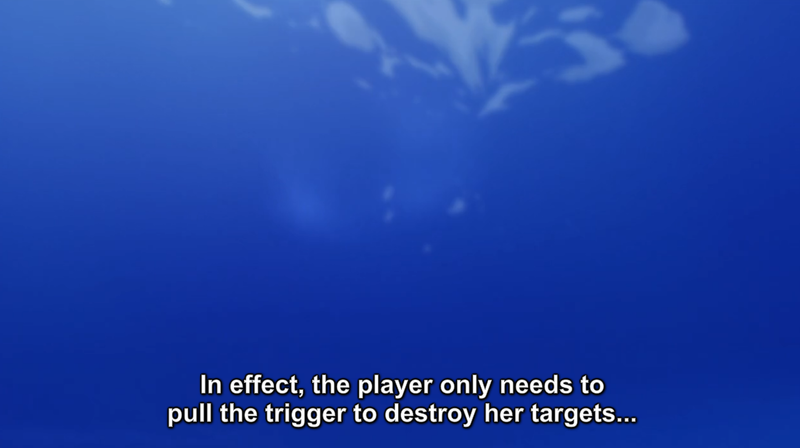 selector infected WIXOSS, Episode 12 [END]: Full write-up this week. This is the third week in a row for WIXOSS, something I never thought I would do for any show ever, much less this one. 7/10 for the whole season; eagerly awaiting selector spread WIXOSS in the fall. 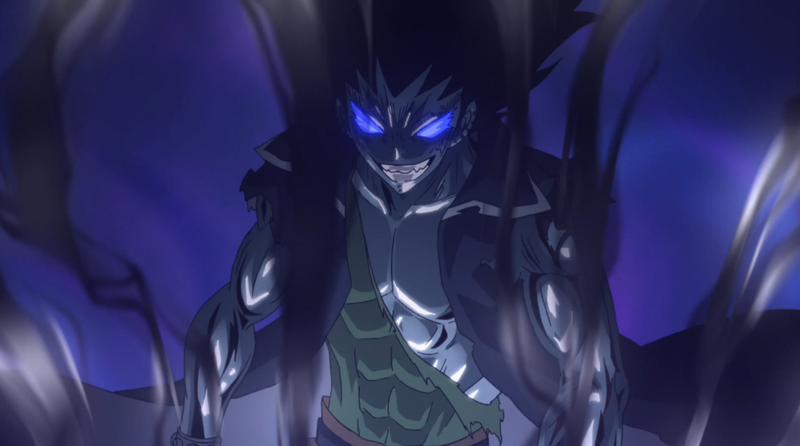 Hunter x Hunter, Episode 135 [Chimera Ant Arc END]: Just…go watch this show. Bored at Magic High School, Episode 12: Someone explain to me why you would create an episode about magic sports and then spend most of the time just having people talk and when you actually do get to the sports the player’s equipment is so overpowered that they have to exert essentially no effort or skill. WHAT IS THE POINT OF THIS ARC? Oh, wait, I forgot. It’s to show how awesome Tatsuya is as being awesome even when he’s not doing a damn thing, besides typing into a computer. I get it, he’s awesome at engineering magic. It’s also really freaking dull to watch someone be awesome at something so esoteric that you have to explain it anew every time even the slightest change in context occurs. It is looking more and more like Mahouka will be a drop after this cour is over. Give everyone else a fair sporting chance, eh? Mekaku City Actors, Episode 11: Never have I ever seen a show balance being baffling and artificially logical as well as Mekakau City Actors. So, everything is coming together, right? We kind of know who the bad guy is, Shintaro got his memories back somehow, Ene got her body back somehow, Ayano isn’t actually dead somehow—everything is connected logically, but there is a gigantic disconnect in the emotional framework that should be reinforcing the plot points. Things kind of just happen in this anime. There are a lot of “then this” moments, and not a lot of “because of this” or “but this” moments. And that’s really weird, because you’d think that at least the emotional elements of a song-based production would strike home. Well, whatever. It’s over next week, and while Mekaku isn’t a terrible production, it is a classic case of wasted potential. Haikyuu! 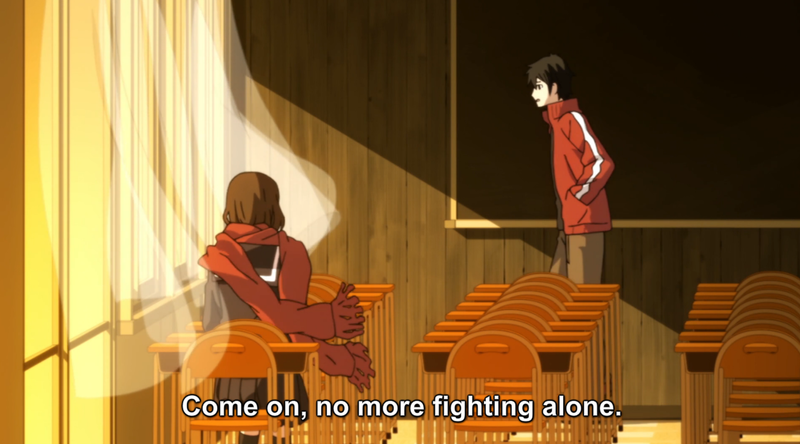 !, Episode 12: The only thing of importance is that Koyomi Araragi narrated the first minute. The rest, coming on the heels of marathoning Chihayafuru 2, just felt like a huge caricature. I like Haikyuu! !, but sorry, it’s just not the same. 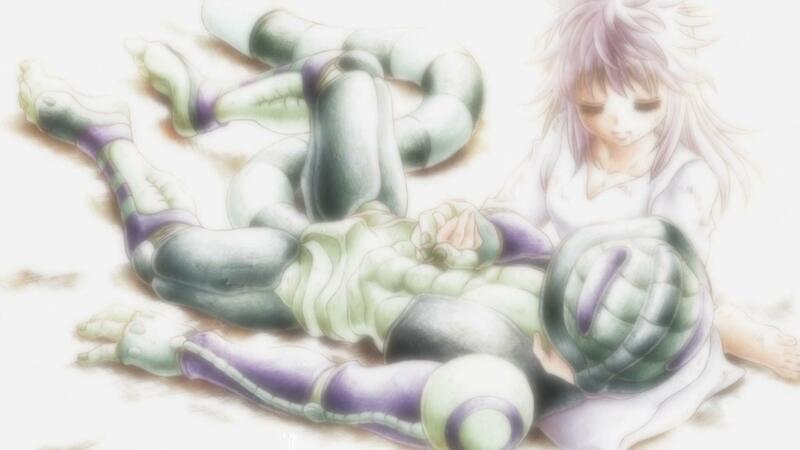 One Week Friends, Episode 12 [END]: Well, I haven’t really been fully connected with the show since episode 9, but this was a nice closing episode for a nice show. We got Fujimiya crying, Hase yelling, them both making up and life going on happily. That’s right, no hug…booooo. I did particularly like the bleakness of the winter backgrounds and the final scene with everyone looking on as Hase and Fujimiya ask to be each others’ friend was a good one. 7/10 for the whole series, down from my predicted 8/10 because of the problems episodes 9 and 10 gave me. But definitely a lovable, self-contained show that could a be a nice introduction to anime for the right people. Hitsugi no Chaika, Episode 12 [END]: Chaika finished its run as my favorite show of Spring 2014 by ending its first cour better than most shows end at all. There was a nice wrap up of all the themes (maybe too nicely, thematically), the plot lines, A KISS!!!!! and the introduction of a new twist. Also, there was that thing with Frederica, who more or less avoided being a really convenient plot device by being chibi for most of the episode and fighting a meaningless battle while Akari unceremoniously knocked out Grad in a single blow. That’s a deadpan end for a villain if I ever saw one. 7/10 for Chaika, and thank goodness BONES is bringing us another season in the fall. It will be my most anticipated of the title of that season, easily. 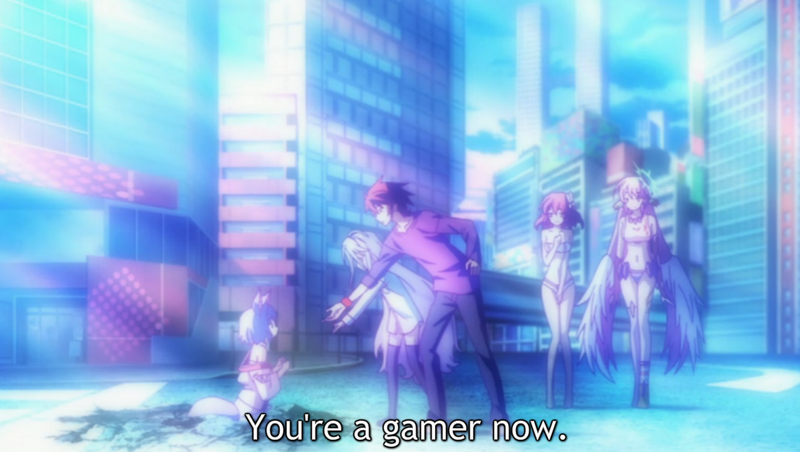 No Game No Life, Episode 12 [END]: Well, it was a fun show. To be honest, I prefer prefer stuff like Chaika for my “for fun” shows, but NGNL had a nice sense of scale to it. Am I clamoring for a second season? No, but I would probably watch it and enjoy it. As they turned down the sexual fanservice, my enjoyment went up. There’s nothing deep about this show; it’s sheer entertainment through and through. And that’s not a bad thing. You gotta have show like that. And No Game No Life did it better than most. 5/10. Boundless wisdom from No Game No Life. There is hope! Is the Order a Rabbit?, Episode 12 [END]: Gochiusa ended about as comfortably as it began. It was kind of hidden in all the moe and all the comedy, but Gochiusa actually had a heartwarming little story hidden in there: a story about a lonely girl whose world was made just a little bit warmer by a girl who wanted nothing more than to be her big sister. In comparison to Engaged to the Unidentified‘s Benio and her sister complex, Cocoa’s sister complex really stands nicely in contrast as what it really is—just a girl who wanted to be a big sister and take care of her little sister. The whole siscon thing and imouto fascination has framed little sister relationships in a weird light, but Cocoa’s obsession with being Chino’s big sister really stand as a comforting example of what it means to want to care for someone else. 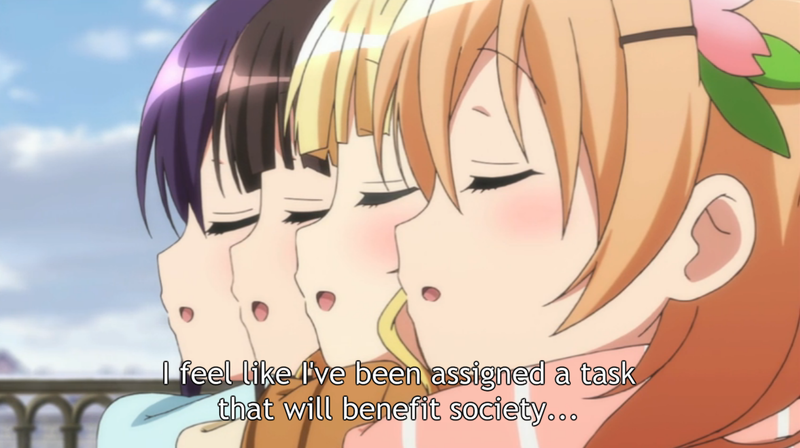 5/10 for Gochiusa, which is a solid score for a show like this. It’s decidedly unambitious, but succeeds admirably in being a comfortable, warm experience…just like a nice cup of coffee.